You are the Network Administrator at Ranet. We have just installed new router to be our gateway. 1. Set hostname to be "RanetA"
2. Set enable secret to be "ranetenablepass"
3. Set console password to be "ranetconsolepass"
4. 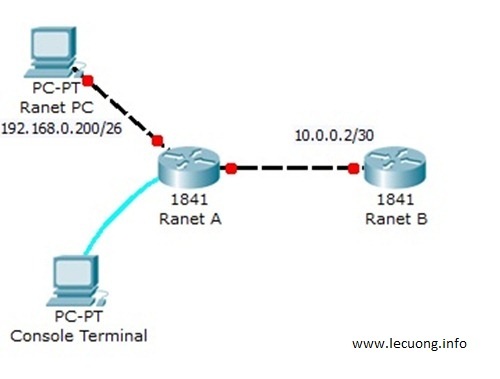 Set telnet password to be "ranettelnetpass"